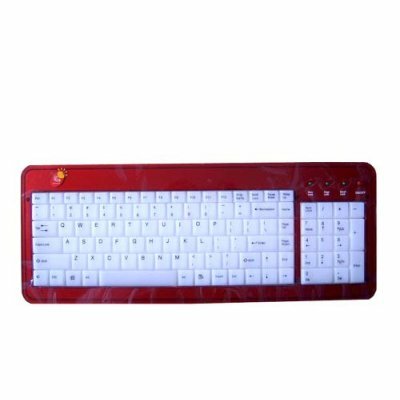 This keyboard is because of the feather to switch on this LED light ideal for working in the black rooms and also ideal for gaming in the dark. Compact design. The illuminant board is constructed by led lights which make the light effect more integrated. Light adjuster is added on the side which could adjust the brightness of the led lights. With GSM-Sensor for optical recognition of mobile phone calls-numerical part starts to flash. It has another two practical USB interface and connect with U disk and mouse.